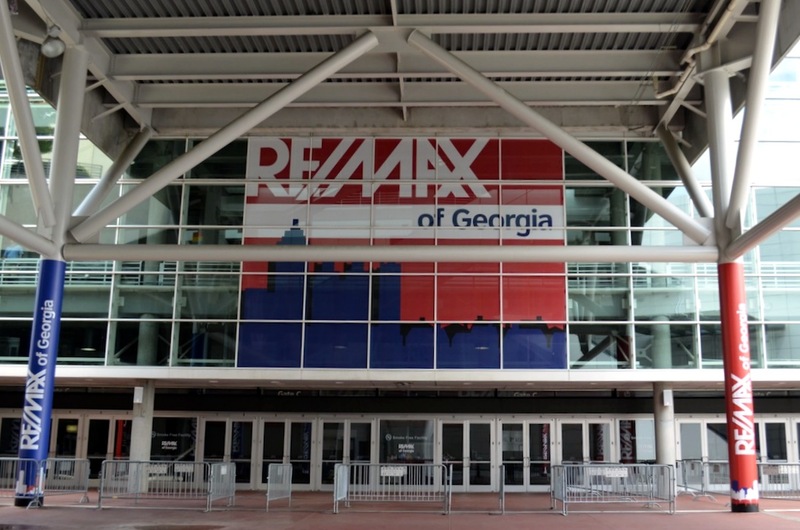 Real estate’s love affair with the marketing opportunities afforded by professional sports continues, with Alpharetta, Ga.-based Re/Max Regional Services set to blanket the Georgia Dome’s Gate C with signage featuring Re/Max branding as part of a marketing agreement with the Atlanta Falcons. In addition to 8,000 square feet of promotional graphics, banners and wraps, the Re/Max name will be heard over the airwaves during the Falcons Game Day Live pregame show on CBS Atlanta, and Re/Max Regional Services will offer hot air balloon rides at select Falcons Landing events. Re/Max Regional Services will create display ads, social media giveaways, game-day ticket contests and commercial spots during the 2013 season tied to the live pregame shows. The company expects that the Georgia Dome visuals — to be unveiled Sept. 9 at a private reception for 200 Re/Max owners, brokers and agents from the Greater Atlanta metro area — will be seen by more than 1.5 million people annually. As the “Official Real Estate Partner of the Atlanta Falcons,” a team of Re/Max agents has also been created to represent Falcons associates buy and sell homes. Re/Max Regional Services owns the right to sell Re/Max brokerage franchises in Georgia, Kentucky, Tennessee, Southern Ohio and Southeastern Michigan, and provides support to nearly 4,000 agents in nearly 300 offices in those regions. (Denver-based Re/Max LLC, which owns 10 of its 32 franchise regions in the U.S. and Canada, this month filed paperwork for an initial public offering, saying it plans to use $27.3 million of the proceeds from the IPO to reacquire franchise rights in the Central Atlantic and Southwest regions. That would boost the percentage of U.S. and Canadian Re/Max agents Re/Max LLC provides services to directly from 46 percent today to 54 percent). In April, Re/Max Regional Services was a sponsor at the Atlanta Steeplechase, and also sponsored the No. 24 car of Ken Butler III in the 2013 NASCAR Nationwide series race at Atlanta Motor Speedway. To boost website traffic, Century 21 Real Estate has run television ads in conjunction with the last two Super Bowls, sponsored an IndyCar and U.S. Soccer, and purchased TV ads during the 2012 Olympics. Last year, Cupertino, Calif.-based Intero Real Estate Services Inc. hired NFL football legend Dwight Clark as a celebrity endorser.